We’ve not managed to post an update for while, but suffice to say its been extremely busy for Vibetown over the last few months. 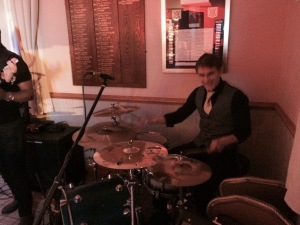 We’ve recently started playing at a new Wedding Venue in East Yorkshire, Carlton Towers Wedding Venue & Function Band. This place seems to be an up and coming Wedding Venue that is gaining in popularity. In fact we’ve played here twice in the last 2 weeks! “…Ensure your special day is captured in history at this unique and spectacular 17th Century Yorkshire wedding venue. With 30 years’ experience hosting weddings in its staterooms, Carlton Towers has gained a reputation for ensuring perfection in every detail. Enjoy exclusive use of the three grand state rooms, sixteen bedrooms, the Minstrels’ Gallery, Bar, Entrance Halls and Grounds at this unique venue for your wedding or civil partnership. We are a licensed wedding venue and can perform civil marriage ceremonies and civil partnerships for up to 200 guests. Although we have wedding packages, these are by no means set in stone and all of the weddings can be tailored. Your wedding day will be organised and coordinated by our experienced Wedding Planner and Events Team, who will carefully discuss your plans and check that every last detail is in place. If you are still looking for a great Wedding Venue that is both elegant and beautiful and that can also accommodate live music, then look no further than Carlton Towers Wedding Venue & Function Band!! !